We live in a society that’s becoming increasingly more cosmopolitan every single day. As a result many of us are not only willing to, but want to, try nontraditional relationships. If you find yourself in this category, you may be interested in considering dating outside your race. If you’re interested in interracial dating then Interracialdatingcentral.com is a decent place to start. This site allows you to connect with like-minded individuals like you, who are looking to try something new. They’ve been involved in the interracial dating scene since 2003, so you know they have the experience to provide you with a decent experience. However, you should be aware that Interracialdatingcentral.com is part of the same network as Interracialdating.com, and Afroromance.com. So if you sign up for any one of these sites, you’re actually signing up for all of them. Why they’ve done this is not clear, as it all seems a little redundant – having said that, if you join up for the site you’ll still have access to one of the better interracial dating experiences on the web. When you sign up for this site, you can choose to try it out for free which will let you browse membership profiles, and create your own profile. In the first part of the sign-up process you simply state the race, gender, and age of the person you’re looking to match up with. As an interesting twist, once you’ve done this you’ll be able to view some of the best matches near you before going any further. 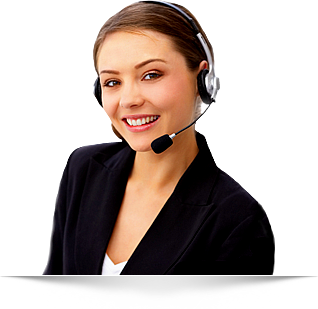 This allows you to take a look at the site and see if it’s for you. Once you click on a member profile to take a closer look, it’s then that you’ll be asked to sign up for your full membership. They ask the standard sort of questions that other dating sites do, such as your gender, the type of relationship you’re seeking, and your ethnicity. In step two you’ll be required to provide your email, and create a password for the site. Finally, they ask for your name, your date of birth, where you reside, a nickname you’d like to use on the site, and they ask for you to provide a description of yourself. After that it’s up to you exactly how much, or how little, information you’d like to provide them. If you prefer you can just get started using the site right away. Although it’s probably a good idea to at least add a photo. Why Join Interracial Dating Central.com? 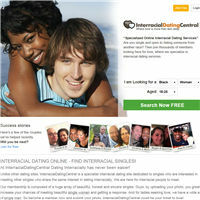 Interracialdatingcentral.com has a great friendly user interface. It gives you quick and easy access to the best matches near you with a popular members section at the top of your dashboard, and below that you’ll also find a list of people who have recently been online. At the top of your dashboard you’ll find quick access to email, a favorites sections, and a viewed section. All of the sites best tools are quickly accessible at the top of the page, and anytime you want to return to your homepage all you have to do is click on the little home icon on any page. This really is one of the most user-friendly dating sites you’re likely to come across. Interracialdatingcentral.com is definitely one of the best interracial dating sites you’ll find on the web. It’s extremely user-friendly, has a great database of users, and with some quick links to popular members the site makes it easy to find the best choices near you. If you do choose to join this site, you won’t be disappointed.